Interiors have been on my mind a lot lately, particularly as we are planning to start another phase of our own house renovation (the idea is actually to build up our travel fund with this project). It’s going to be busy, hectic, and exciting. We are pumped. 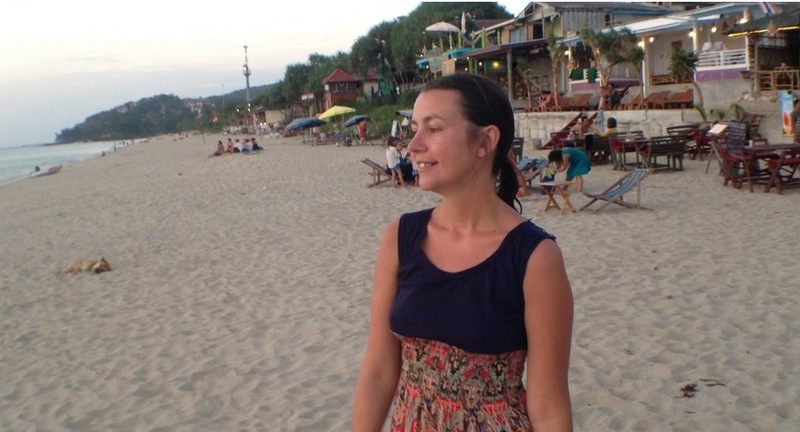 So it’s high time to share more properly a key reason of why I love to travel – spaces around the globe. 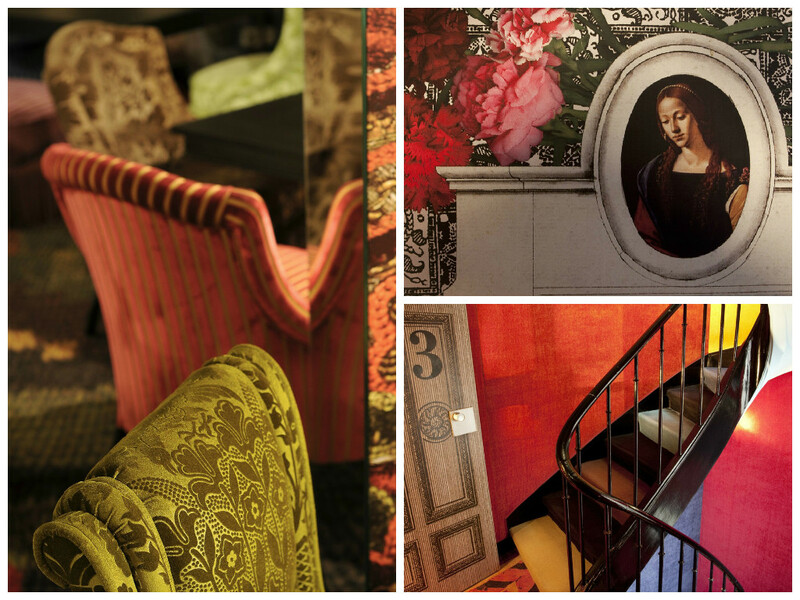 Every time I walk into a space, I scan for inspiration – it may be the design of the entire place, or a small accent like a certain textile, color combination, or approach to doing something different and unexpected. When at all possible, we choose to spend extra – within our budget – to be surrounded by inspiration. So over here I would like to catalog and share inspiring spaces around the globe that we’ve either visited ourselves, or I have stumbled across with arm chair travel. 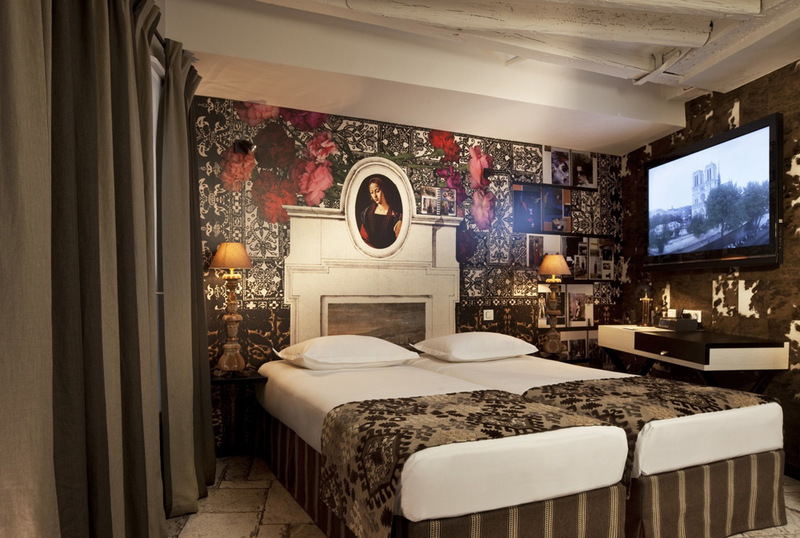 First up, a hands down favorite of ours — Hotel Notre Dame Saint Michele in Paris designed by Christian LaCroix. We stayed for our honeymoon way back when in September 2011, and I am still daydreaming about this inspiring space. Before I even got to the interiors though, can we pause and talk about the view? 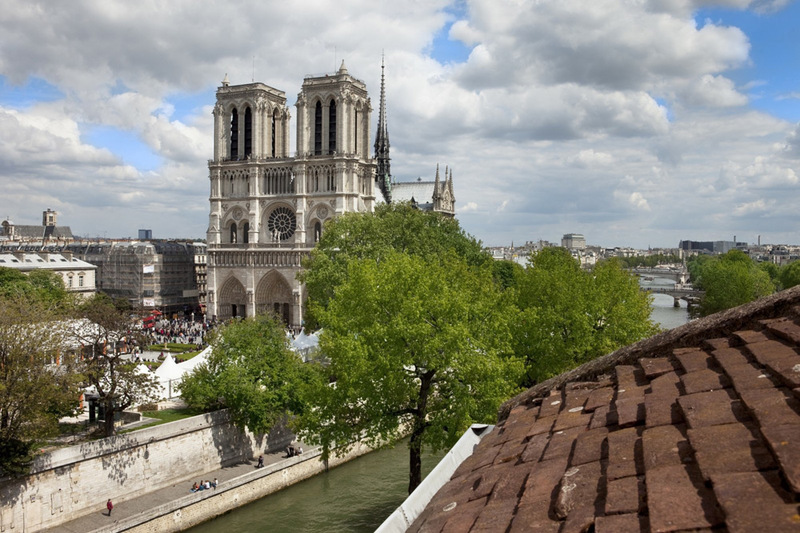 I don’t think it can get much better than being able to lay in bed with your balcony doors open observing the Notre Dame de Paris on the banks of Seine River. 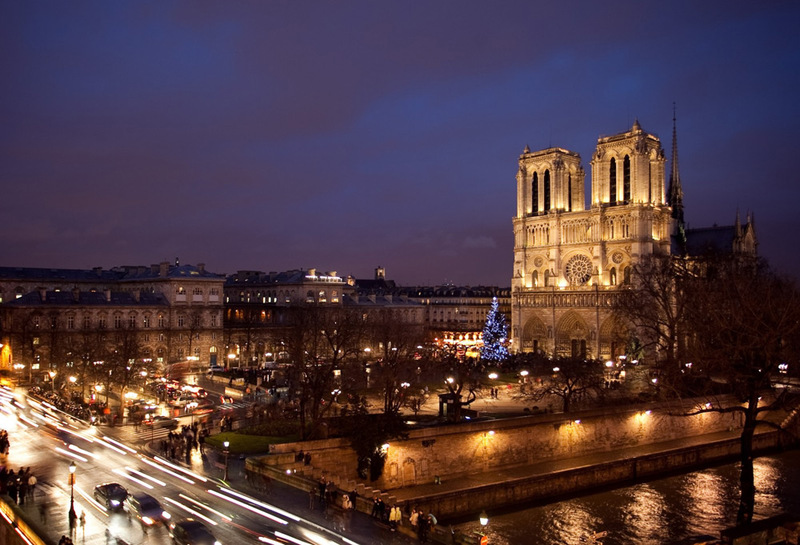 Notre Dame at sunrise, at sunset, at night time, or during the day – it’s magically anytime. On a side note, that’s one of those things about interiors – if the location isn’t right, there is only so much you can do for the space, which, sadly will never quite get there. 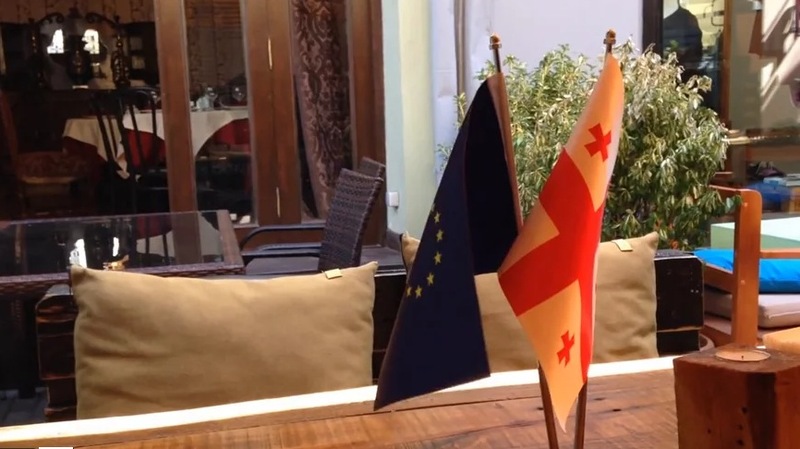 On the other hand, if you have location like this one, well…it’s hard to go wrong. 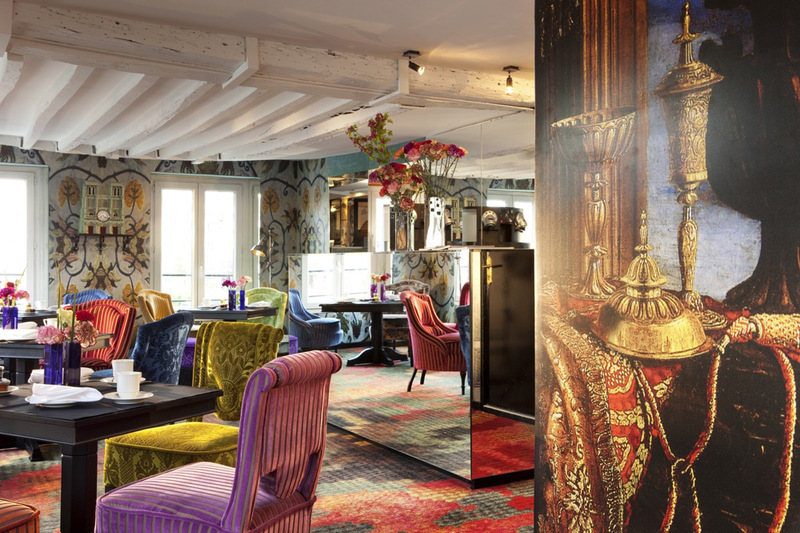 Of course, when you are Christian LaCroix you aren’t thinking anything ordinary and good enough, you are thinking bright, unexpected, and over the top, a mix of modern and vintage in the most aesthetically pleasing ways. Entering Notre Dame Saint Michele from an ordinary, crowded street in the middle of Paris was probably the closest we’ll ever come to Alice in Wonderland-like trip down the rabbit hole into the magical fantasy land. I half expected a cheshire cat to appear somewhere around the corner. What amazes me is the seamless mix of modern, vintage, industrial and elegant with a huge dash of original, unconventional design. The glassed in staircase, the original whitewashed beams on the ceiling, the futuristic wallpaper and the luxurious Louis XV salon armchairs in patterned velvet. The patterns, the colors, the textures. Ah! So well layered, so clever. And those murals – I have this thing with walls. It must come from my background growing up in Russia. Before I came to the US at the age of 12, I had never seen a painted wall. 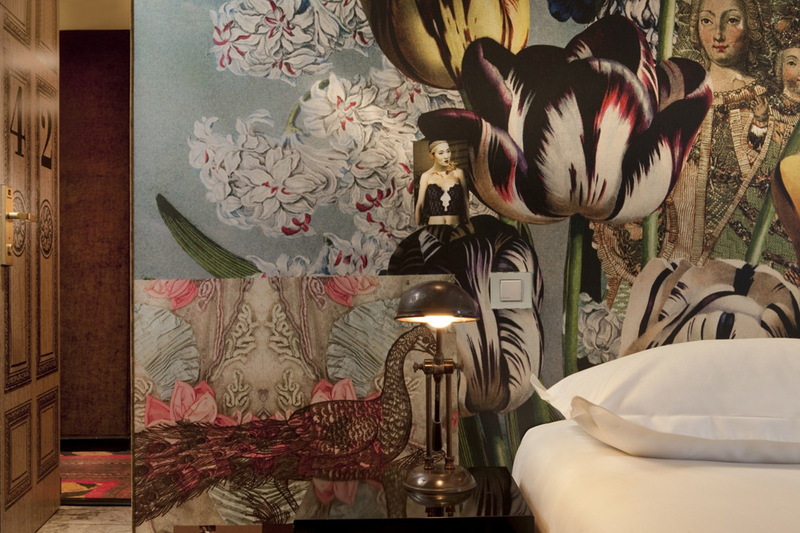 Instead there was wallpaper — mostly flowery, and a lot of the time faded. But nevertheless, wallpaper. 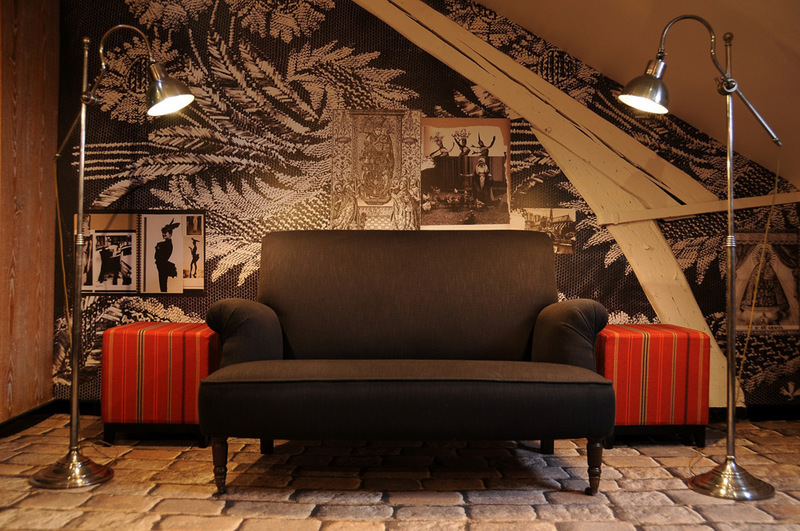 These walls…I just wandered around the hotel, peaking into rooms, sitting in the common areas, just soaking it all in. I love the unexpected scale, the mix of pattern upon patter upon pattern, the impact of color, the placement of art. It all just works. 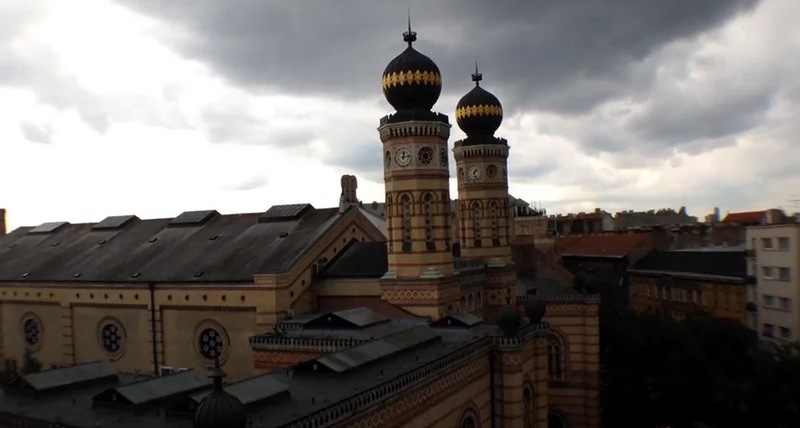 In my book, second to location are the legends, the history, and the character of a building. The older – the better (although that means more work as well, as renovation becomes a painstaking process of preserving the old world beauty, while introducing modern conveniences). 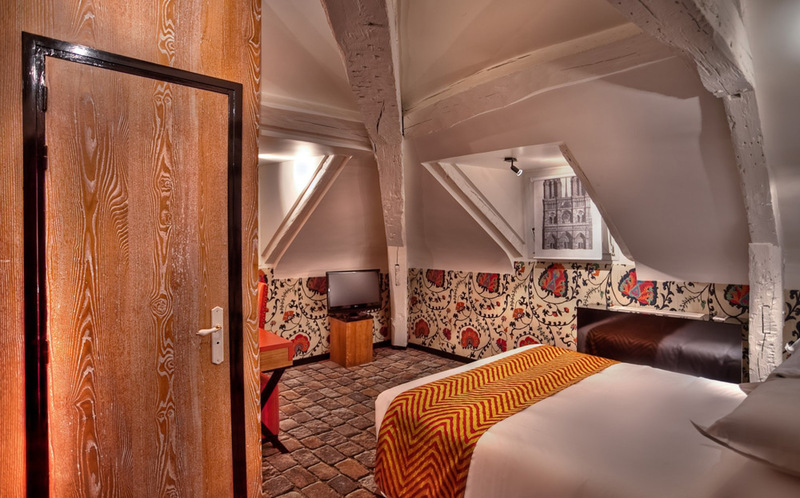 Built over 400 years ago, Hotel Notre Dame Saint Michele is registered as an architectural and historical landmark in Paris – so yea, there is impressive masonry, plenty of patina, and character for the ages. 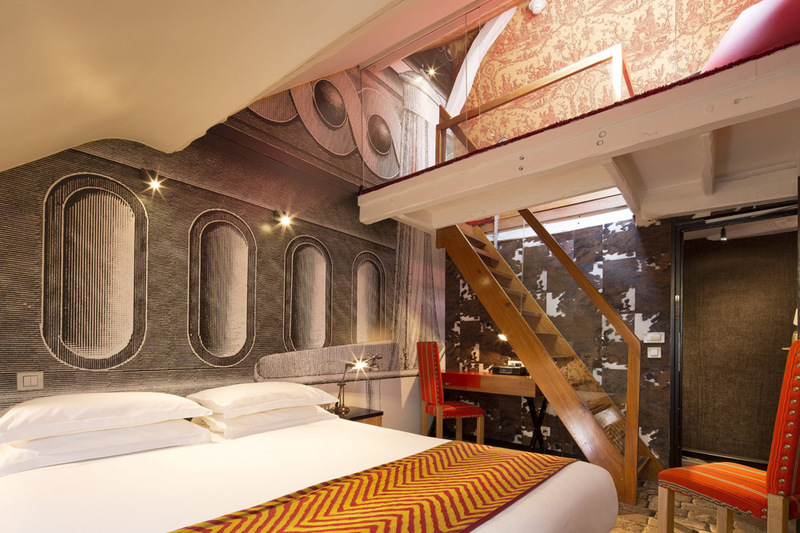 Yes, the staircases are narrow, the elevators are tiny (we barely fit two of us with our carryon luggage), and bedrooms are on the cozy side. But frankly, who cares? Just think how much history these stairways have witnessed – the good King Henri IV, the storming of the Bastille, the scandal of erecting the ultra-modern Eiffel Tower. And let’s talk bedrooms, because what these rooms lack in size, they make up in style and comfort of the bed. 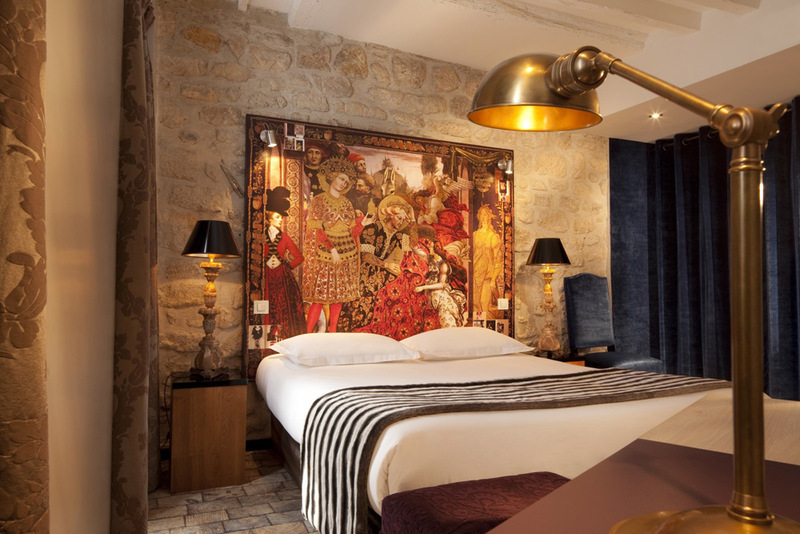 Perfectly luxurious, soft and dreamy – that’s how I prefer my beds, and that’s what we found at Notre Dame Saint Michele. And yes, I am going to bring up the view again. 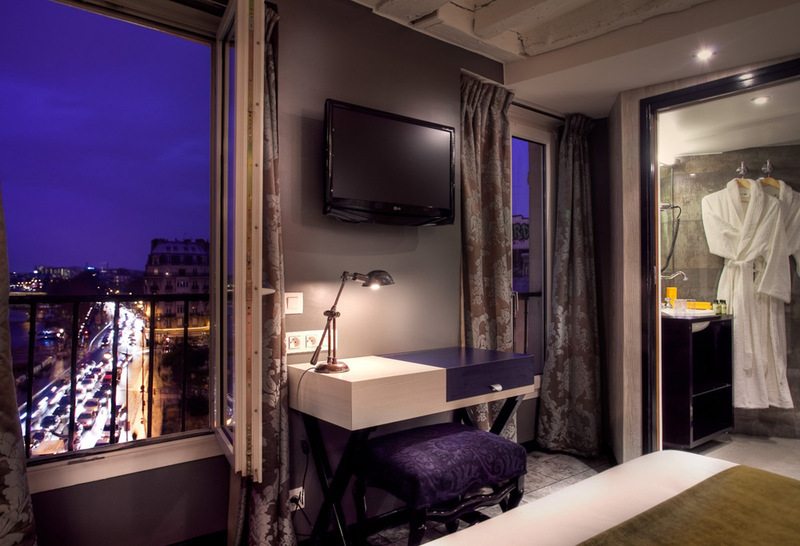 We didn’t even need to leave the hotel to have a proper visit to Paris – the landmark, the river, the people – we’ve witnessed a couple of concerts, street performances, and glorious views all from our bed. Magical. 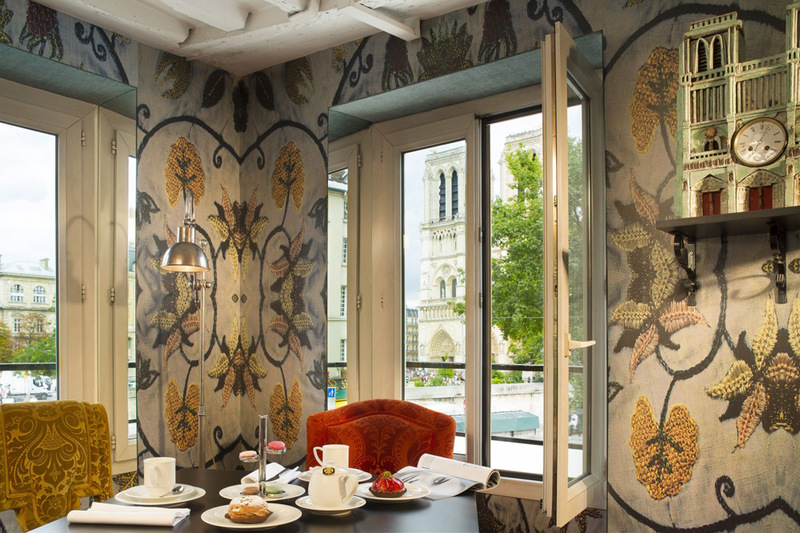 *Not every room has the view that I am talking about, so make sure to specify your requirements – upper floors, with the view of the Cathedral – when you book. Here’s a thing about hotels located in the heart of European megapolises – the bathrooms aren’t great. Even in the pricey 4 star accommodations, in my experience the bathrooms are pretty much subpar. I am not sure if there is a cultural difference in expectations, or if it’s just the plain expense as the reason for the neglect of this room. 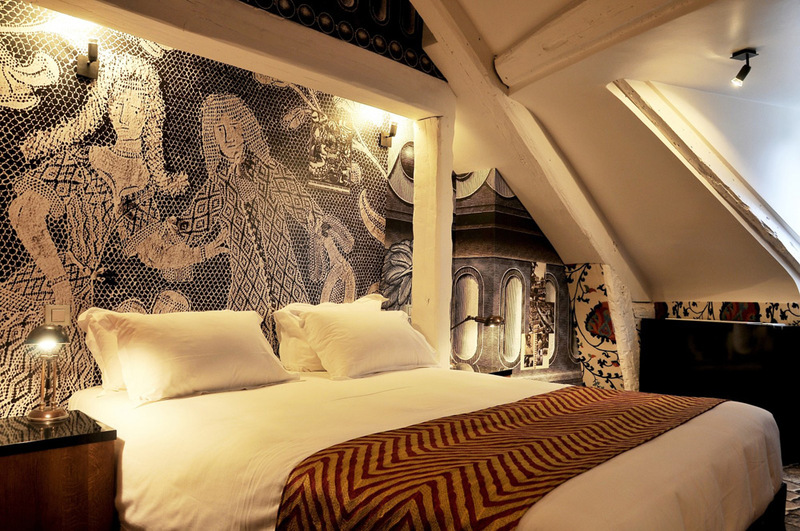 I wouldn’t say that Notre Dame Saint Michele blew expectations out of the water – the shower was tiny, as was the rest of the room. No tub, but reportedly some rooms do have them. But! Being a recent renovation (2010) they did a great job with modern finishes and conveniences. The biggest downside to Notre Dame Saint Michele was the wifi setup. Average speed with a good enough connection. The problem was that we needed a password for every single device that we had…that we had to enter every single time we wanted to use the internet on the device. It was painful. But since we were on our honeymoon, wifi connection was a relatively minor concern at the time. 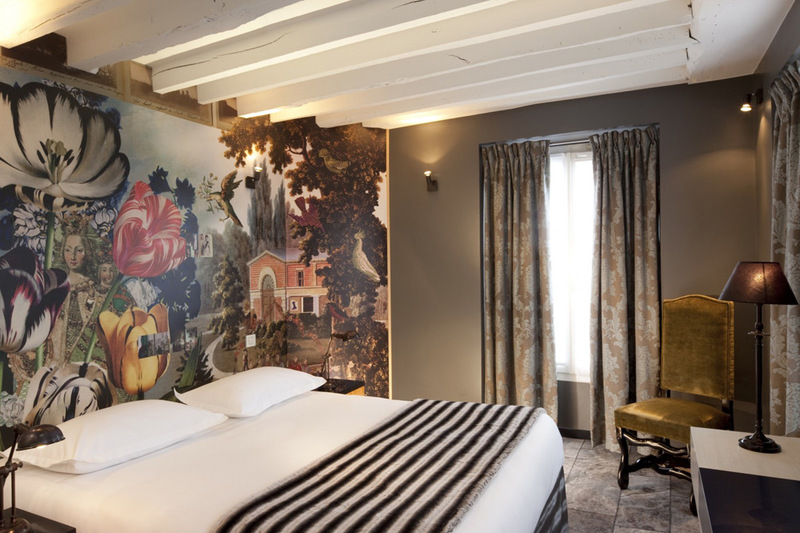 All in all, we loved our stay at Hotel Notre Dame Saint Michele — form the location to the interiors the time we’ve spent there was magical and we would definitely return. * All photos are from the Notre Dame Saint Michele website. 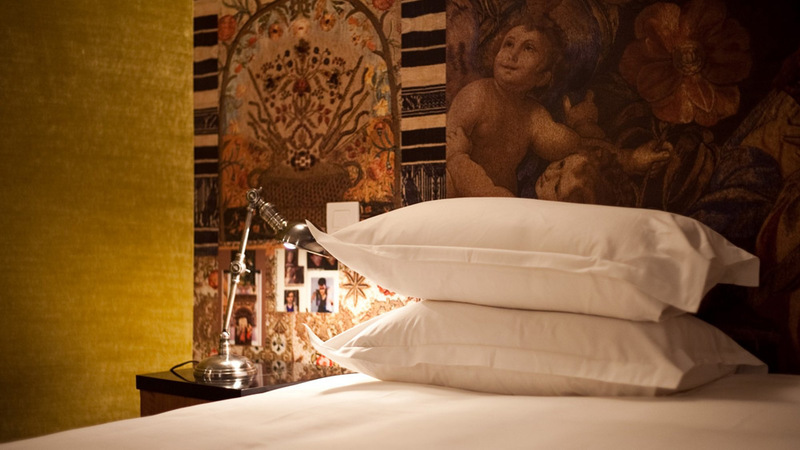 If you are curious about other places we have stayed, you should visit our where to stay page. We make short hand notes about everything we found lovely, and if it must be, the downsides, and make a recommendation based on our findings. Happy Travels!